“Trinity charms visitors on at least two accounts. Many newcomers are struck by the natural beauty of the area, a magnificent harbour and the splendid maritime setting. Others are touched by a powerful sense of history (Old Worldliness) and the pride of place instilled by the cultural landscape. Trinity is a community whose personality has been largely shaped by the sea. The harbour has been proclaimed as one of the best in Newfoundland, even one of the finest in the world. The harbour not only provided abundant shelter and good holding ground, but was also spacious. It was once claimed to hold the entire British Navy. In the early Newfoundland fishery the most prominent merchants were from the seaport of Poole, Dorset, England. Ships sailed from Poole to Newfoundland with salt and provisions, then carried dried and salted fish to Europe and then returned to Poole with wine, olive oil, and salt. In the late 16-hundreds Poole merchants had settled in Bay Verds [now Bay de Verde] near Old Perlican on the east side of Trinity Bay. However, the harbour of Old Perlican is broad and open and not easily defended. Under Pierre Le Moyne D’Iberville the French attacked and burned many of the buildings in 1697. Fearing further attacks through the early 1700s the Taverners, who were prominent Poole merchants, relocated their major premises to Trinity’s safer harbour. The Lesters were also a Poole merchant family and were related, through marriage, to the Taveners. They established at Trinity in the 1750s. 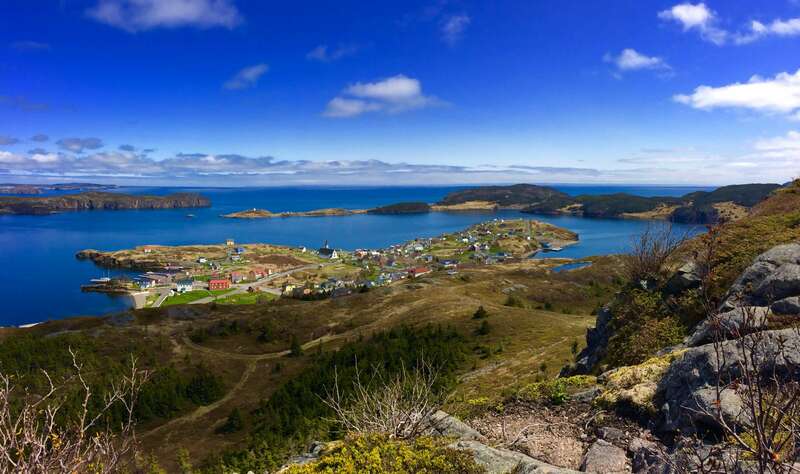 As well they were prominent in a number of other communities in Trinity Bay buying Newfoundland codfish and providing settlers with supplies and provisions. They also employed many men cutting wood, trapping furs, and sealing. By 1793 Benjamin Lester owned 20 ships, the largest fleet operated by an English-Newfoundland merchant in the eighteenth century. Benjamin’s daughter Amy married George Garland and, with time, George Garland assumed more direct responsibility for the trade. After 1819, the firm became George Garland and Sons. The end of the Napoleonic Wars and the conclusion of the War of 1812 ended Britain’s monopoly over the Newfoundland fisheries. Poole’s Newfoundland trade decreased and, within a decade, most merchants had ceased trading. George Garland operated his business until 1825. The Garland buildings were leased to various firms until 1900 when the Ryan Brothers acquired the site and operated until 1952. James and Dan Ryan belonged to the Bonavista family of Ryan merchants. Under the management of their youngest brother Edmund the firm’s chief goal, in Trinity, was to profit from supplying Trinity and Conception Bay schooners that were involved in the Labrador fishery. The Garland/Ryan store in Trinity was one of the first Ryan buildings to be restored during the present era of historic reconstruction. Visitors to the Bonavista Peninsula can now view many Ryan buildings, some of which have been only recently restored. 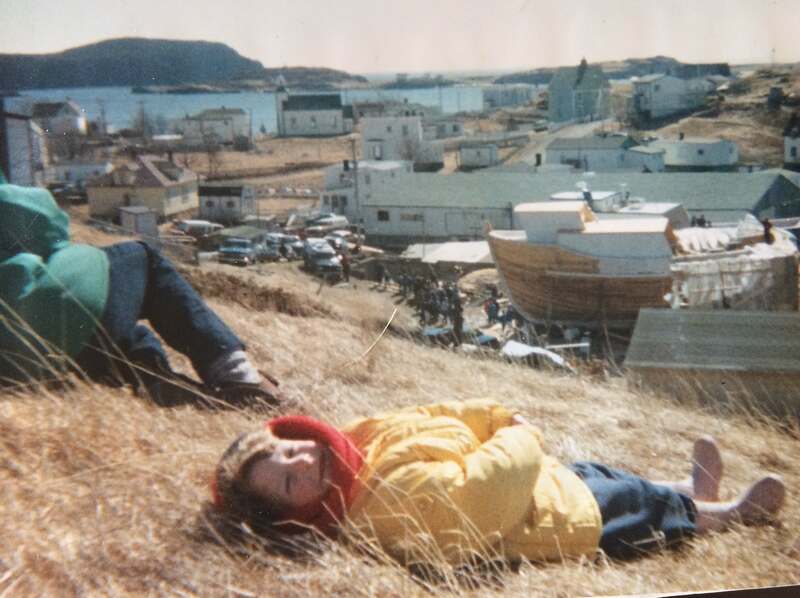 As a child the Artisan Inn’s manager Marieke would watch boats being built in the Vokey Shipyard. During periods up until the late 1980’s Trinity was sustained largely by aspects of the fisheries and business families such as the Vokey shipbuilders and Bartlett’s Plumbing and Electrical. However, outport Newfoundland fell on hard times with the close of the cod fishery in 1992. During the following decade, ships were built, in Trinity, for a newly emerging crab fishery and there was diversification in the rural economy. Today tourism has replaced the shipbuilding industry as the main economic driver in the area.